The horrible disaster in the Gulf of Mexico grows more and more dreadful each passing day as up to 100,000 barrels of black goo shoot up like a pluming rocket, straight up out of the fiery bowels of the sea floor. But even as the residents of Louisiana, Mississippi, Alabama, and the other Gulf states become drenched in black misery, across the globe a small clique of super-rich plutocrats are enjoying a diametrically opposite reaction. In fact, these calculating agents of deceit are celebrating the BP disaster with unmatched, gleeful joy. Their outrageous scheme has worked to perfection, and their bank accounts already show forth the astonishing success of their little sub-oceanic endeavor. The derrick in the Gulf of Mexico has been releasing up to 100,000 barrels of oil per day resulting in the shut-off of most Gulf oil. Did the Illuminati elite order the derrick to be destroyed to create global scarcity of oil and drive up the price? I’m referring to Rothschild and to his cohorts in crime, the freshly minted billionaire oil oligarchs of Israel and the sur-prisingly capitalistic new oil barons of Communist Red China. Never in human history have so few profited so immensely while pulling the wool over the eyes of the ignorant, suffering masses. Now, it may take a little doing for me to explain the incredible, dark reality of what has just happened to the people of America and to the nations of the world, but let me attempt to do just that in the succeeding brief paragraphs. I have also prepared for you a ground-breaking 60-minute investigative exposé which reveals in detail the shocking facts of Rothschild’s Black Gold Empire (Available on Tape or CD). Why are these things important to you? Well, for one thing, your economic future depends on the price of oil. Oil, let us admit, fuels the world. Two years ago I released a bombshell intelligence report entitled Planet Petroleum (Available on Tape or CD). Remember it? At that time, Wall Street and the White House were telling us that oil was a rapidly declining resource and in a few more decades none would be left. The price per barrel, the “experts” told us, would be $250 within a few brief months. Indeed, almost immediately oil’s price shot up to a staggering $147 per barrel and its astronomical rise was expected to continue. The United States has more oil reserves than all the rest of the world’s nations combined. There is no reason to buy even one single barrel outside the US. But in my report, I unmasked the lies of Wall Street, the government, and the oil titans and reported the truth: That the planet is awash in petroleum, that there is a never ending supply underground, and that the world would never—repeat, never!—run out of the black stuff. I further reported that in the United States, in the Bakken oil formation in the Dakotas and Montana, geologists had discovered more oil than exists in the entire Middle East. 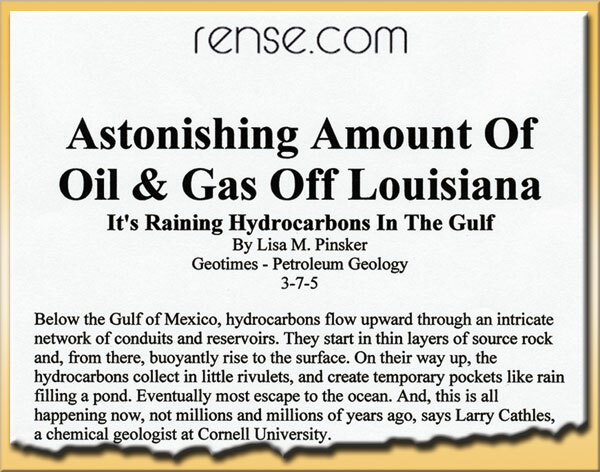 And—get this—I documented that there is more oil stored nearby in the Gulf of Mexico than had heretofore been discovered by oil drillers throughout the world in all the annals of human history. What’s more, I revealed that the $140+ price of oil was a scam, boosted artificially by Wall Street bankers (Morgan Stanley and Goldman Sachs), and I told anyone who would listen that the outrageous high price would soon come tumbling down! Guess what? It did exactly that. Within the year the price per barrel had plummeted from its $147 peak to only $32 per barrel. The price now sits at or about $78. In other words, the U.S.A. has more oil available on this continent than all the rest of the world’s nations combined. There is no reason—none, none, none—for us to buy even one single barrel from some foreign potentate in Saudi Arabia, Kuwait, or Venezuela. Every American Citizen is Fabulously Rich! Can you imagine what this means for our economic fortune? Each of us—you and I and our kids and grandchildren—are rich, rich beyond belief. A conservative estimate of our oil wealth would be that every man, woman, and child alive in the 50 American states is worth a minimum of Five Million Dollars. Each of us is joint heir of this nation’s massive deposits of black gold sitting unused underground on publicly-owned land and under our coastal waters. Think of it—we are all rich and no one, except the greedy elite—suspects it. The people are kept in total, abject stupidity. Instead, from the early days of Rockefeller’s Standard Oil monopoly to today, we have been lied to and tricked into believing that oil is a rare, dwindling resource and that America must turn its eyes overseas to find sufficient energy to meet even our basic needs. What an outrageous lie we have all been fed. Now let me explain to you the main points of what has happened in the Gulf of Mexico and in the decade leading up to this horrible tragedy. 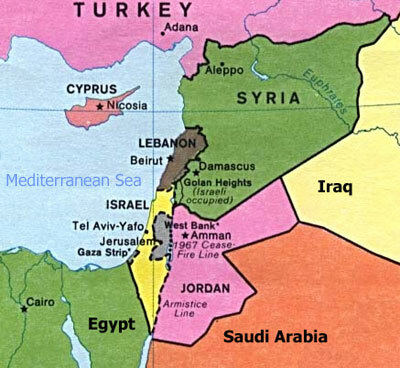 After the conquest of Saddam Hussein’s Iraqi oil fields by the Bush-Cheney administration, oil pipelines were built and began shipping the stolen Iraqi oil through Israel to Rothschild controlled tankers waiting at the Israeli-Lebanon sea coasts. These tankers then make their way to China. 1. Under the ruse of preventing Saddam Hussein from launching nonexistent “weapons of mass destruction,” Bush and Cheney invaded Iraq and seized that nation’s gigantic store of oil. Iraq is second only to Saudi Arabia in global oil production. 2. The U.S.A. then built permanent military bases adjacent to every major Iraqi oil field production facility. This is why we will remain in Iraq indefinitely, to insure the oil flow and gigantic profits continue. 3. The U.S.A. immediately began to build new Iraqi oil pipelines through to Israel, and to Israeli-controlled Lebanese ports where the huge quantities of Iraqi oil are loaded onto waiting oil tankers and transported by sea to China and India. Israel is now an oil-rich theocratic superstate. Rothschild is Israel’s hidden dictator and financial overlord. 4. This Iraqi oil is “owned” lock, stock, and barrel by Rothschild’s front companies. The profit from this oil scam—secreted away in Tel Aviv banks—now reaches obscene levels. To pacify the Iraqis, a pittance is given to the Baghdad government. Iraq’s corrupt politicians and Moslem Imams also get their cut. 5. In China (and to a lesser extent, India), Rothschild and his Jewish banking minions have founded dummy national oil corporations and constructed an astonishing number of new oil refineries. After processing of the crude petroleum, tankers proceed to transport the finished product to distribution outlets and tank storage facilities in China and across the oceans, including in the United States. 6. Chinese national oil companies (actually Rothschild clones) are now the major petroleum suppliers to the whole world. Yet, China possesses little oil of its own—China’s oil largesse comes from its cooperative dealings with Rothschild, Israel, and the U.S.A.
7. Because of the global oversupply problem—too much oil being drilled and pumped up out of the earth—it was decided that the booming Gulf of Mexico oil source must be indefinitely closed down. Chevron, Conoco, Exxon-Mobil, BP and other multinational oil corporations would henceforth be either limited or prohibited from operating oil derricks in the Gulf. Pemex, the Mexican national oil company, would also be limited in its production, and, down south, Brazil’s national oil corporation, Petrobras, would be given a strict quota. 8. China is now the preferred #1 oil spigot for all the world’s economies. Rothschild’s Jewish oil billionaire pals in Israel as well as China’s Communist bureaucrats are today the planet’s new masters of oil. 10. With the knowledge of the Obama administration, a British Royal Navy submarine was used to torpedo BP’s Deepwater Horizon oil derrick, initiating the environmental disaster we now face on our coastlines. 11. The American people and, indeed, the whole people of Earth, are aghast at what has happened in the Gulf of Mexico. Their minds are thus conditioned and ready to accept drilling moratoriums and put an end to would-be plans for American energy independence. 12. The dominance of Rothschild, Israel, and China in the world’s oil market is assured! The supply and thus the price per barrel of oil will be strictly controlled to insure maximum profit. Rise, O Rise, Rothchild’s Black Gold Empire! In effect, Rothschild and Israel are laundering Iraqi oil through China, stealing it from the Iraqi people, thanks to America’s military occupation of that oppressed country. This is no different than the wealthy Jews (the Oppenheimers) who grabbed and now own South Africa’s diamond mines and pay off Johannesburg black African politicians with puny kickbacks. It is no different than the American corporations that strip the forests of Malaysia, then ship and sell lumber across the globe, or the foreign cartels that mine copper, tin, palladium, and gold in Indonesia and Africa and market it to the rich across the seas. What is significant, in this instance, is that the American people and economy are intentionally stymied and stiffed by these oil shenanigans. The bogus environmental movement is accelerated and gains momentum. We, the people, are kept confined to an economic straitjacket, our plentiful oil resources left untapped, while Rothschild and his Jewish oligarchs, along with Red China’s Communist tyrants, reap the treasure of Iraqi and other foreign oil. Obama’s role, of course, is to supply the military and diplomatic muscle of the United States to keep this massive criminal operation flowing. Again, this is the Illuminist doctrine of Ordo Ab Chao, which translates into trillions for the (Jewish) bankers, pennies for the people. Meanwhile, our once pristine beaches, coastal lands and waters are besotted with unsightly petroleum toxins that are killing both plant and sea life. 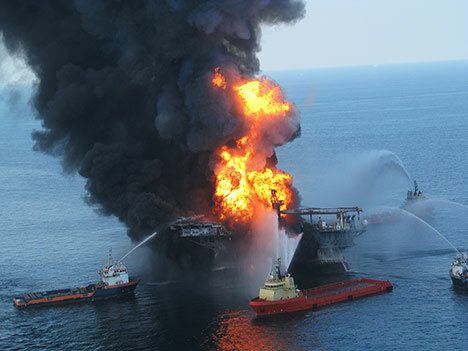 Under the circumstances, BP’s relatively puny $20 billion Gulf coast cleanup fund is a joke. To Rothschild, Israel and China, $20 billion is mere chump change. Isn’t it revealing that you have read about this unbelievable, sickening scandal here first, in Texe Marrs’ Power of Prophecy newsletter. Who in the Jewish-controlled establishment press would ever reveal these things? Who of the Tea Party leadership—the Lou Dobbs, Sarah Palins, Glenn Becks, Rush Limbaughs, and John McCains—would have the guts, or would dare betray their wealthy benefactors? With God’s help—and your prayers and financial support—I will continue my non-stop campaign to blow the lid off this unspeakable scandal. And I’ll unmask yet other scams and schemes of the elite. So please, stay tuned. Meanwhile, I sincerely thank you for your friendship and for the confidence you have deposited in this Truth Ministry. Special thanks to Ian Curtis for posting this article on the WarOnYou Forum.